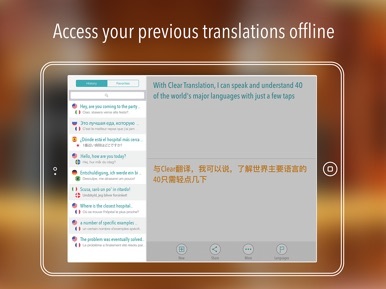 Clear Translation HD provides a very simple and effective way of translating both voice and text. 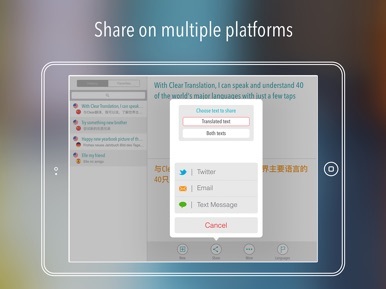 Its intuitive interface and impressive list of supported languages make it an amazing tool for getting accurate translations on-the-go. 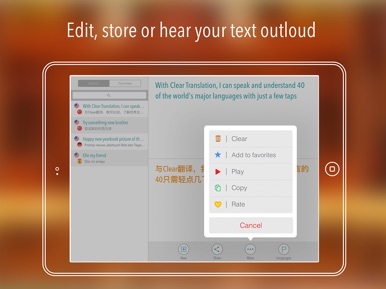 If you need help speaking and understanding any of the world's major languages, or if you're traveling to a country where you don't speak the native language, then this app is just what you need!